For those that don’t know, Saturday is National Record Store Day. 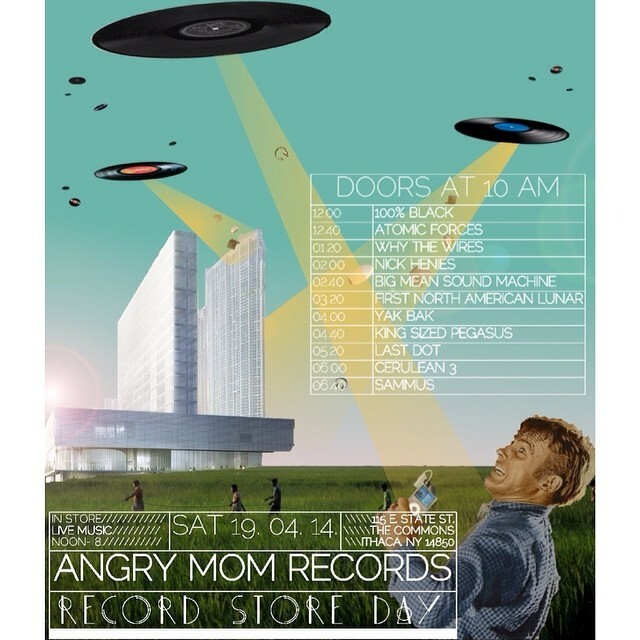 As part of Ithaca’s Record Store Day I will be rocking the mic at Angry Mom Records (115 East State Street) at 6:40pm! Come through, buy a vinyl, and enjoy the amazing music. See you there!